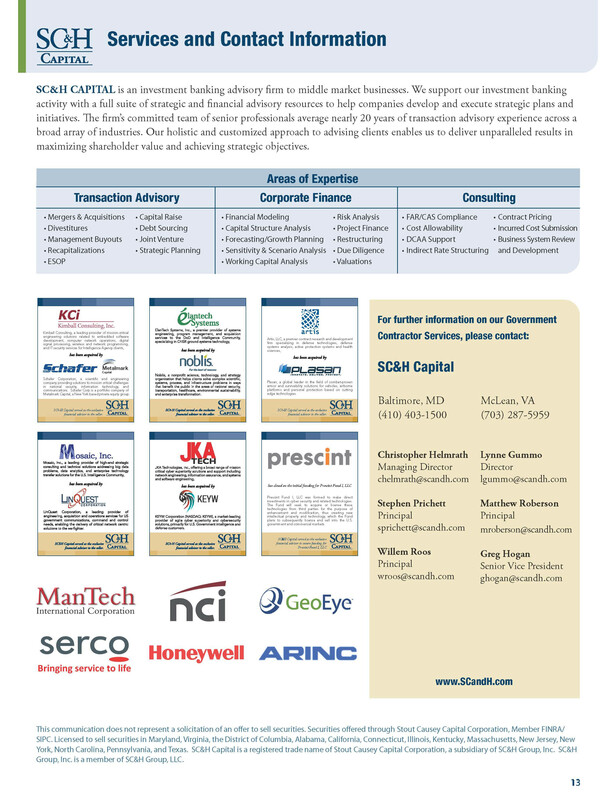 This publication, created for SC&H Capital contains information regarding Mergers and Acquisitions in the Government Contracting space. The above images are part of a multi-page document published by SC&H Capital. 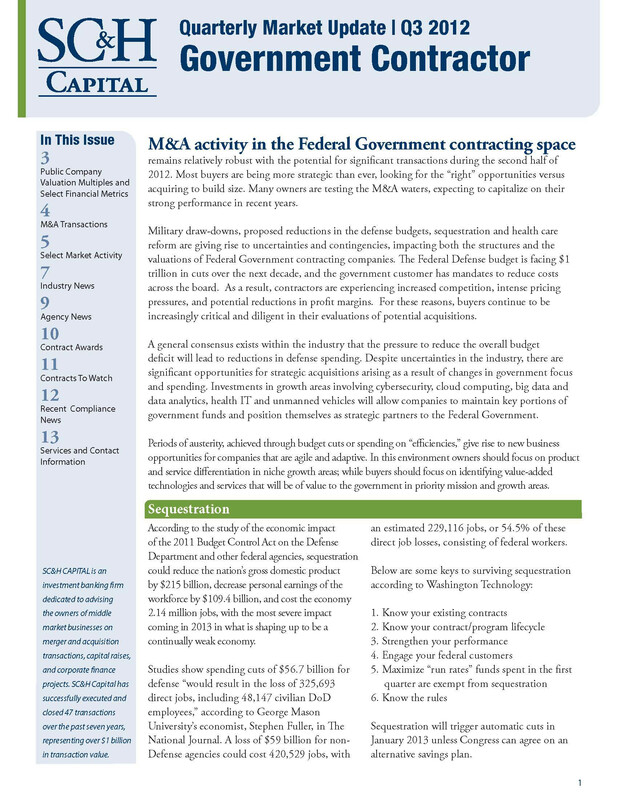 This publication contains information regarding Mergers and Acquisitions in the Government Contracting space. 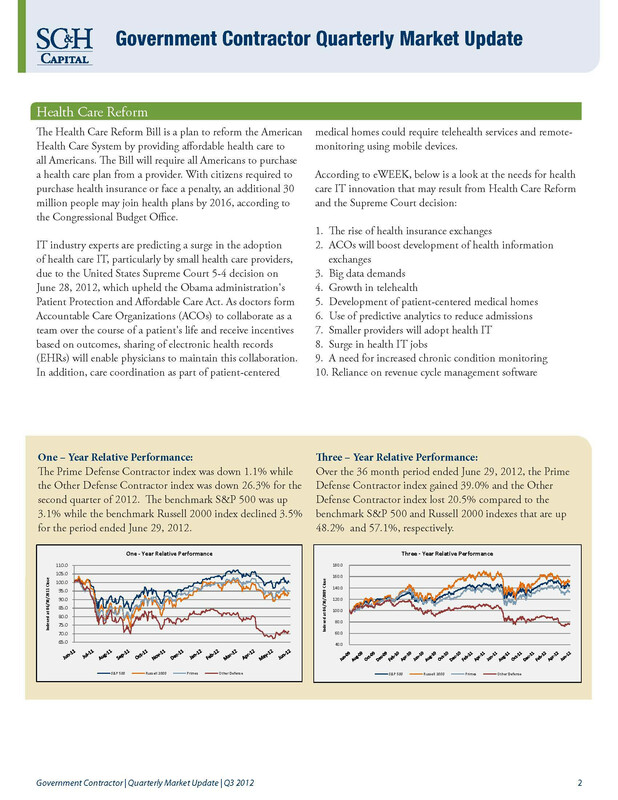 Below are links to the full editions of the August and November 2012 publications.